Are You Calling An Attorney After It Is Too Late? We procrastinate about many important things in our lives…getting our taxes done, having a physical, and putting all the photos in an album, to name a few. 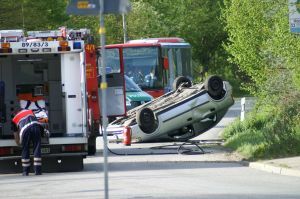 So, it is only human to procrastinate about calling an attorney for advice when an accident has occurred in your life. And if the injuries are serious, you have other things to worry about: paying bills, getting the right medical care, and dealing with all the paperwork. 1. In Alaska, you have just two years in which to bring a lawsuit if you have been injured because of someone’s negligence. If you don’t file your lawsuit within that time, you will be foreclosed from obtaining any recovery whatsoever. 2. You have to give your attorney time to do the job. When serious injury or death has occurred, the claims need to be properly investigated, and this often takes time, plain and simple. The reason a plane has crashed or a vessel has sunk can only be determined with a thorough investigation, often one that requires the engagement of qualified experts who have to be identified and engaged for the client’s benefit. 4. Important evidence can be lost. Your memory, and that of important witnesses, is fresher and more accurate right after any injury than it will be two years later. Accident scenes and vehicle damage are repaired. Sutures are taken out and casts removed. If we can be involved in the early stages of a client’s recovery, we can help them preserve critical evidence that will later prove to be essential to whether or not they ultimately prevail in their case. These are just a few of the many reasons why you shouldn’t procrastinate when a serious injury or death has occurred. Get an attorney with the necessary legal skills involved early on to help you. If you contact us, we will give you the help you need, or we will help you find someone who can.